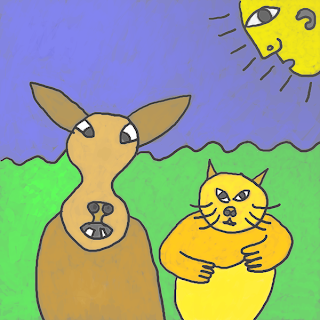 there are house cat and cow." Your drawing style is different, did you use a surrogate? H.
I looked at photos of cows and cats.